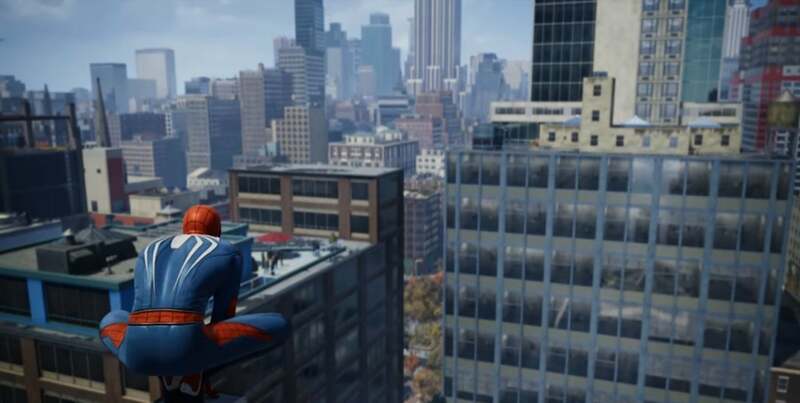 Xbox One fans hoping to play the Spider-Man game are up for a big disappointment. It’s “never” coming to the Microsoft console, according to Insomniac games. The developer recently revealed the release date of this PS4 exclusive title. Insomniac Games made it big after producing the Ratchet and Clank series for PlayStation. However, thereafter they expanded their reach to other platforms, and launched titles such as Sunset Overdrive, one of the best exclusives for the Xbox One. Recently a few PlayStation exclusives including Crash Bandicoot: The N. Sane Triology, made its way to the Xbox. Expectations were that the Spider-Man game would also go multiplatform. But, Insomniac Games has now put an end to all such expectations. It does sound like the final decision by Insomniac Games. Some fans, however, would prefer to take it with a pinch of salt. There have been instances where the titles are launched as exclusive and later branch out on different platforms. Fortnite is the latest example. It was launched in 2011 as a PC exclusive but later jumped on to PS4 and Xbox One. However, in the case of the Spider-Man game, it is very unlikely that it would go multiplatform, considering Sony’s rights to the character. Though the rights are for the Spider-Man films, it is hard to guess what’s actually there in the deal agreement. It’s heart-wrenching for the Xbox One owners, but they may get to play other games based on Marvel heroes. Reportedly, two other Marvel projects (via Square Enix) are in the making, and those presumably would be multiplatform, notes ScreenRant. One of the biggest Square Enix upcoming games is a third person Avengers title. Though not much is known for now, the title would have an original story with the Avengers team and would be a part of a “multi-year, multi-game” process. Another title has no name yet, but going by the fact that Square Enix has expanded its development team, the title ought to be something big. Both of the titles should materialize sometime in 2019, notes ScreenRant. Meanwhile, the PS4 release for the game is scheduled for Sept. 7. Along with the release date, the developer also revealed the final box art of the game. The box has an Insomniac’s version of Spider-Man on a red background. Insomniac first revealed the title during Sony’s E3 2016 press conference. And, in the same event the next year, they revealed the gameplay. Apart from the standard version, there would also be a Digital Deluxe version of the Spider-Man game available at $79.99 including the post-launch DLC series – Marvel’s Spider-Man: The City That Never Sleeps. There would be three post-launch chapters, each with new missions, characters, as well as suits for Spider-Man. Those who go for the Digital Deluxe version will also get a collectible pin of the Spider-Man on the box art. However, the offer is only for U.S. and Canadian residents. There is a Collector’s Edition as well. “Of course, for those collectors out there who want an incredible Spider-Man collectible alongside Marvel’s Spider-Man, we have just the edition for you,” reads a blog post announcing the release of the game. This edition includes all the content from the Digital Deluxe Edition, plus a Steelbook case with the iconic white spider, Marvel’s Spider-Man statue by Gentle Giant and Mini Artbook from Titan Books. As per the gameplay of the game detailed previously, players would also be able to control unmasked Peter Parker and his long-running love interest Mary Jane, creative director Bryan Intihar told IGN last year. “It’s a very different experience to playing as Spider-Man,” the developer said, “and it stays true to her character, in terms of her background that she’s a reporter for the Daily Bugle.” Further, Intihar added that even though it is a superhero game, the team thought it would be interesting to control a character who does not have superpowers. Insomniac Games previously dropped a trailer for the game showing combat, exploration and behind the scenes details on what to expect from the title. According to the studio, the story of the Spider-Man game would show a confident Peter Parker. If any hint is to be taken from past Spider-Man games, the Arkham series of Batman titles, and Insomniac’s own Sunset Overdrive, then the Spider-Man game will be a huge action-adventure title.